It’s Princess Daylight’s christening, and the blessings of the good fairies are interrupted by a wicked Swamp Fairy. The Swamp Fairy vexes the princess with two evil curses: she will never see daylight, and her vitality will wax and wane with the phases of the moon. The good fairies mitigate the curses as much as they can: thanks to their help, the princess will be awake at night, and the curse will be broken when she is kissed unknowingly by a prince. As the years go on, Princess Daylight’s curse seems to worsen. Her only joy is dancing in the forest glen by moonlight. Finally, a prince stumbles upon the forest glen where he sees Princess Daylight for the first time. He is immediately entranced, but the Swamp Fairy has a few more tricks up her sleeve before the prince and the princess can properly meet. She places a series of spells on the prince to prevent their destinies from aligning. Will Princess Daylight’s curse ever be lifted? This fairy tale uses simple staging as the good fairies narrate throughout the show. Reading through a collection of George MacDonald's stories, I was struck by the simplicity, beauty, and poignancy of "Little Daylight." The story had several elements of the traditional fairy tale, but with a twist, and the subtle humor and knowing perspective were appealing. As soon as I finished reading, I knew I wanted to see it on stage. So I started writing. I really like the scene in which Daylight and the Prince meet for the first time. He doesn't understand the nature of her curse--or that she even has a curse--and their conversation about the sun is full of puzzlement on his side and yearning on her side. As for a favorite line, it's probably the declamation by Forget-Me-Not on the futility of being wicked. The fact that evil is self-defeating, illustrated in so many fairy tales, is specifically addressed in this one. Tell us more about adapting the show. Was it difficult? What inspired you to work with it? 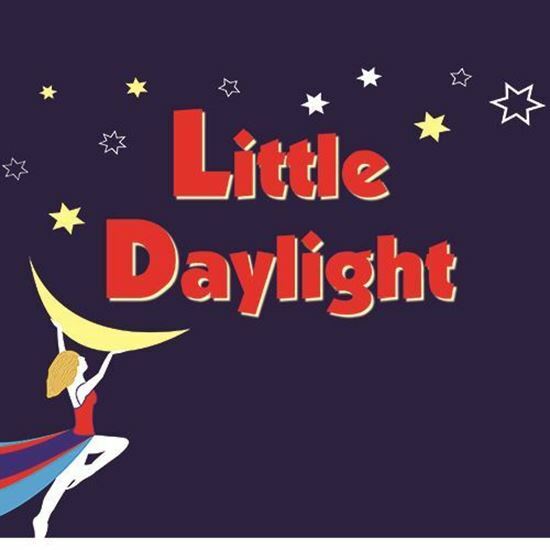 Adapting "Little Daylight" for the stage was not difficult. I simply allowed the seven good fairies in the story to become the narrators and followed the original plot. Besides the practical motivation of needing a script for my group to perform, I was inspired to work with this story by its humor, eloquence, and theme. It was a story I wanted to share with others. In the original, Daylight dances alone in the forest glen. I added a few dances to emphasize the lonely joy that Daylight experiences. Attractive to me as a director was that the story could be staged simply, with basically one set. I wanted to establish a sense of separation and hopelessness, caused by the wicked fairy's curse. The sunrise, which should be a cause of happiness, becomes a reason for sadness. I wanted that feeling to continue to the very end of the play, when it is darkest just before the dawn. I wanted the audience to understand, though, that it's a darkness punctuated by love. At the moment Daylight sees the sun, love wins, and hopefully we can share Daylight's joy.